The 2015 FUNraising campaign raised $1.5 million, bringing the 11-year grand total to $15.2 million. Once again, Paul Mitchell Schools celebrated their success with a star-studded Gala at the Beverly Hilton in Beverly Hills. Joining the festivities were co-hosts Pauley Perette and Winn Claybaugh, along with Kathy Buckley, Gary Sinise, Marie Osmond, John Paul DeJoria, Fran Drescher, and Magic Johnson. After three months and thousands of hair shows, casual days, cut-a-thons, and “FUNraisers,” the 13,000+ cosmetology students from Paul Mitchell Schools raised over $2.1 million for 11 selected charities, bringing their 11-year total to more than $13.3 million. Co-hosts Fran Drescher and Winn Claybaugh announced the results at the annual FUNraising Gala, with special guests Magic Johnson, Danny Trejo, Marie Osmond, Sara Rue, John Paul DeJoria, Ricky and Andrea Schroder, JoAnne Worley and Kathy Buckley. 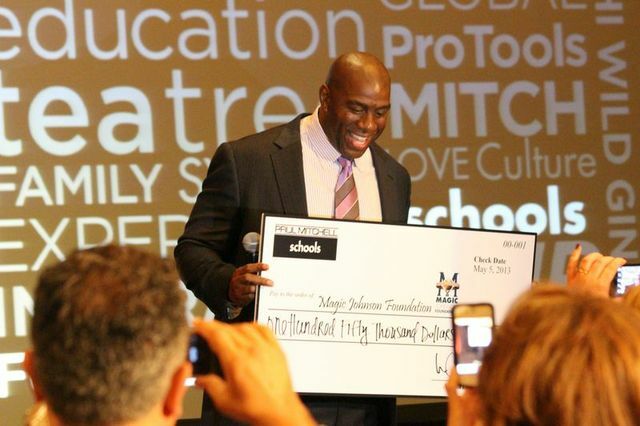 The legendary basketball player, entrepreneur, and LA Dodgers owner dropped in to personally thank the Paul Mitchell School owners for their $150,000 donation to the Magic Johnson Foundation. Co-hosted by Winn Claybaugh and Kathy Buckley at the legendary Beverly Hilton Hotel, home of the Golden Globe Awards, the 2013 FUNraising Gala featured special guests Betty White, Fran Drescher, John Schneider, Eden Sassoon, and live performances by Sara Evans and Tichina Arnold. The school's raised a record-breaking $2.6 million, bringing the grand total to $11.2 million in 10 years! Co-hosted by Marie Osmond and Winn Claybaugh at the legendary Beverly Hilton Hotel, home of the Golden Globe Awards, the 2012 FUNraising Gala featured special guests Betty White, Fran Drescher, Kathy Buckley, Kristin Bauer, and a live performance by Natasha Bedingfield. This year, the schools raised $2.5 million for charity! 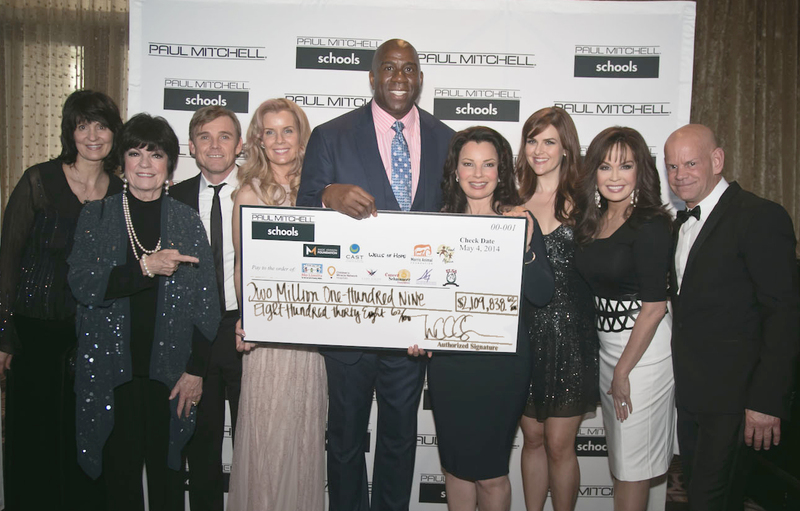 Paul Mitchell Schools raised over $1.7 million this year! Co-hosted by Winn Claybaugh and Leeza Gibbons, the 2011 FUNraising Gala celebration featured Donny Osmond singing "Puppy Love" to an adoring Betty White; Marie Osmond singing a heartfelt tribute to her late son Michael; Dolly Parton inviting everyone to join her in an impromptu a cappella version of "9 to 5," the announcement of the Top 10 FUNraising schools; recognition of the "First 50" Future Professionals to raise $3,000 each; and much, much more! Photos from the 2010 Paul Mitchell Schools FUNraising Gala dinner in Newport Beach, California. 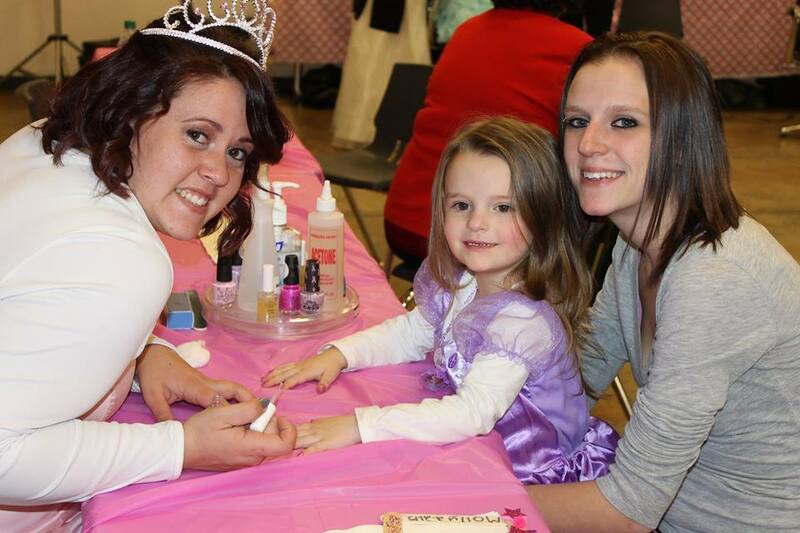 Putting the "FUN" in FUNraising!